April 18, 2017 By Roddy Russell Jr.
Am I the only one who still can’t believe Friday Night happened? Honestly, I almost dropped a slice of pizza on my jersey. 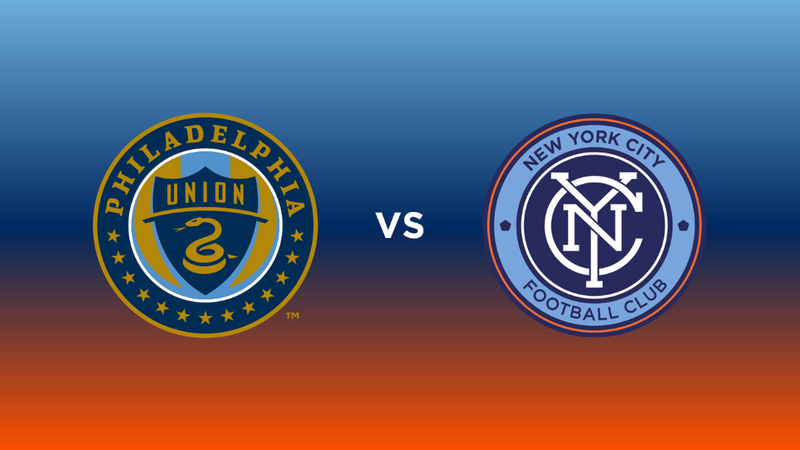 Let’s talk about this match at Talen Energy Stadium against Philadelphia Union, and hopefully by the end, I can believe. 1. Let’s just get this one out of the way. 53.5 yards. That’s a chip or pitch shot from off the fairway onto the green (yeah, I took golf lessons as a kid, but forgot how to swing a club). David Villa wasn’t channeling Carli Lloyd, like people on Twitter were saying. No, he was channeling Sergio Garcia (2017 Masters Champion and fellow Spaniard). 2. Ronald Matarrita had five assists in 25 appearances last season. He is already at three assists in six matches this year. 3. Six matches in, New York City FC has double digits in league points, currently at 10 (3W-1D-2L). At this time in both 2015 and 2016, City had six points (1W-3D-2L). 4. This is the first time NYCFC has recorded a clean sheet against the Union. Philadelphia held us goalless once before on April 23, 2016 (2-0). 5. The win gives NYC the edge in the head-to-head record, which is now 3W-1D-2L. 6. Matarrita earned WhoScored.com’s Man of the Match title with a 7.9 rating. Jack Harrison came in second with a 7.8, Villa third with a 7.7. Sunday at 1:30 ET, City hosts “rivals” Orlando City SC. City’s head-to-head record with Orlando is 1W-2D-3L, and will be looking for win number two. “Well, I’ve seen it, but I don’t believe it!” -Adrian Healey, ESPN.